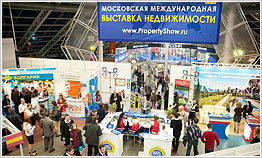 The Moscow International Property Shows are the premier overseas property exhibitions in Russia. Created in 2003 these shows sell out completely and continue to attract more than 7,000 potential property investors. 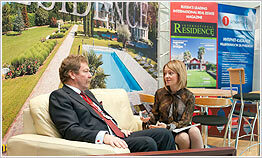 190+exhibiting developers & agents from around the world of real estate. 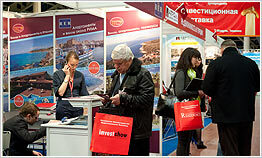 Created in 2007 to cater to the growing investment trend, the Moscow Overseas Property & Investment Shows are held in March & October to promote & sell investment opportunities in worldwide real estate. 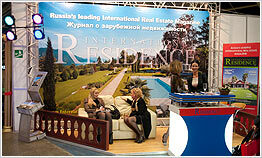 These shows attract 6,000+ targeted visitors to meet with 160+ International real estate specialists. 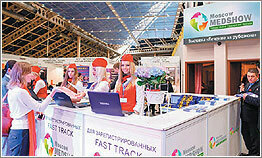 With Medical Tourism from Russia increasing at 47% annually the Moscow MedShow and Moscow Spa Show were added to the portfolio to cater to this fast developing sector. 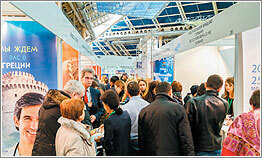 Attracting more than 3,500 visitors these shows were an immediate success for International Clinics and Hospitals looking to increase their share from the Russian market. Publish your property listings, book now! 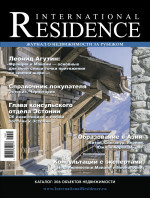 As the leading overseas property magazine in Russia, International Residence is at he leading edge of the Russian market. Read our monthly newsletter for latest details on what is happening in the fast growing market.